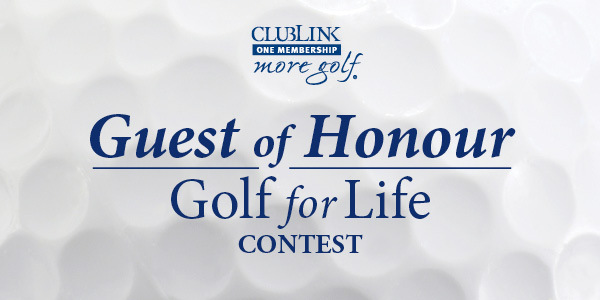 Thank you to our guests who came and played our Clubs this season in correlation with our Golf for Life contest. With the season wrapping up, we are no longer taking entries to the contest. While the winner of the grand prize (unlimited access to golf at all ClubLink daily fee courses) will be announced at the end of November, until then ClubLink is thanking guests who signed up by doing monthly giveaways of smaller prizes. Congratulations to the winners this month; you can see your prizes below. For those of you who didn't win, check back in next week when we announce more weekly winners.